Nokia has confirmed that mobile hotspot functionality will arrive on the Lumia 800 and Lumia 710 Windows Phone handsets in a forthcoming software update. Late last week it emerged that the base-level Lumia 610 handset will enable users to wirelessly tether their 3G signal to other connected devices. While the feature is commonplace on most top smartphones these days, its announcement for the Lumia 610 raised eyebrows as it doesn't yet exist on the higher-end Lumia 710 and Lumia 800 models. However, that will be rectified "soon," through a Zune update according to a Q&A session on the Nokia Connects blog. 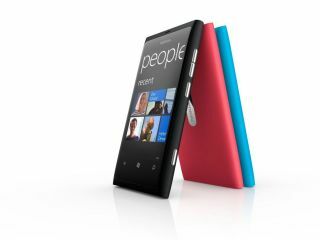 The feature will launch with the flagship Nokia Lumia 900 device, which is set to arrive in the United States in the next few weeks and around the world later this year. Responding to a question on whether Nokia plans to bring the 41-megapixel camera featured on the 808 Pureview device to its Lumia range, the Finns again confirmed that this is in the offing. "We don't comment on future releases but we do expect to be leaders to imaging space and bring this innovation into future products," read the post. For more information from the horses mouth on the Lumia 900, check out the Nokia Connects blog.